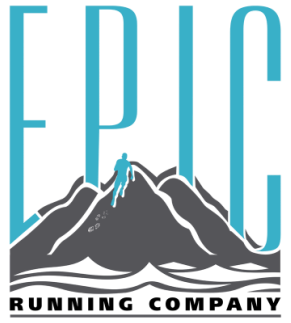 About EPIC - Epic Running Co. Thanks for checking out Epic Running Company, L.L.C.!!!! Kudos, you made a good choice! This is all about me, Coach Kelli. 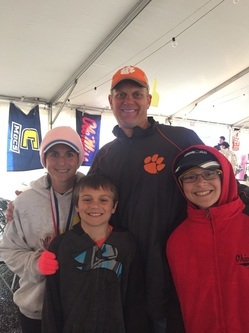 I've been married to Andy (one of our youth coaches), for 17 years, and we live in Wilmington, North Carolina. We have two boys. I'm an avid runner and an Ironman triathlete. 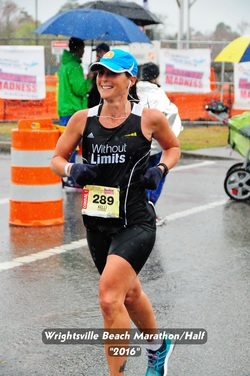 I've run 12 marathons, am a three-time Boston Marathon qualifier, and have also run several half marathons, a half iron distance triathlon, and completed Ironman Florida in November of 2015. I most recently qualified for Boston in January of this year at the Houston Marathon, with a time of 3:33:00. To see my personal best times, go to the bottom of the page. Here's how it all started! ﻿﻿ My passion for running began when I was just a little girl, racing as fast as I could around my grandma’s shed in her back yard, trying to beat my time on her stop watch. She used to take my sister and me out to the track to run, teaching us the fundamentals along the way. Grandma was there timing me as I ran in junior high and high school, always making sure she didn’t push the stop button a tad too soon out of her excitement of seeing me run. In college and beyond, I ran as a way to get exercise. I climbed stairs, circled the track located near my dorm room, and I ran the streets and beaches with my scruffy dog. It all changed sometime in 1999 when I signed up for the Myrtle Beach Marathon. I don’t even know if I had run a race, even a 5k, before that, and I'm not entirely sure what motivated me to just sign up for a marathon. I never knew how that one race would become another, which would become another, as my love for running would evolve into a lifestyle and then a passion. Fast forward many years, 8 marathons, a dozen plus half marathons, handfuls of other distances, and a triathlon later, I was a stay-at-home mom with two kids in school, trying to find “that perfect job” I could take on while still having the flexibility to care for my boys while not in school. Do what you love, love what you do, right? My thoughts kept circling back to running and convincing others how awesome running is. I coached my boys in Stride and Kids Run the Nation programs, but I wanted more, for myself as well as for the kids. I decided to take the USATF Level I Certification Class in 2014, and I was so excited about what I learned. My mind was blown with ideas on how to incorporate more in-depth training for a youth program. I found an opening to the elusive RRCA Coaching Class in early 2015. After completion, I finally felt my knowledge and experience were enough to build successful training plans for runners, whether they wanted to begin running or go for a Boston Qualification. Along the way, I noticed a huge gap in the middle school running programs – there was nothing at the school, after school. I wanted to change that. Kids need running. They need to be prepared to enter high school with the confidence to join the track team. Kids need a way to relieve stress, to meet people, to exercise in a non-competitive or competitive way. Running is an excellent way to get in shape and gain a competitive edge for other sports as well. My vision of the middle school program is to inspire a new generation of runners, which is why I've started the Myrtle Grove Middle School Running Program. Epic Running Company, L.L.C. was born. Through the years, I've learned a lot about running, about myself, and have gotten faster. Now that I'm in my 40's I know there's only so fast I can go, but I don't believe I've achieved my best times. I'm out there running, learning, no matter if I'm training for a specific event or not. It's a part of me and something I truly love to do. Dream big, work hard. I believe every runner can achieve goals they set out for themselves. Every runner can do epic things. The first step is to stop letting fear get in their way. Reach high. Allow yourself to fail, learn from it, and move on, but don't give up. Have amazing expectations for yourself. I could never have imagined running the Boston Marathon, but I did only because I had the work ethic, dedication, and perseverance to train hard, fail, and train harder to make it happen. It doesn’t matter what ability or experience level the individual has when starting, if you put your mind to it, set your goals, and work hard, you can meet any level of achievement you want. I takes hard work and dedication, but those pay dividends. Take it step by step, day by day, and all of a sudden, you’re at the top of the mountain. The Boston Marathon - April 21, 2014 - 4:54 - Whew, that was a bad day for me!